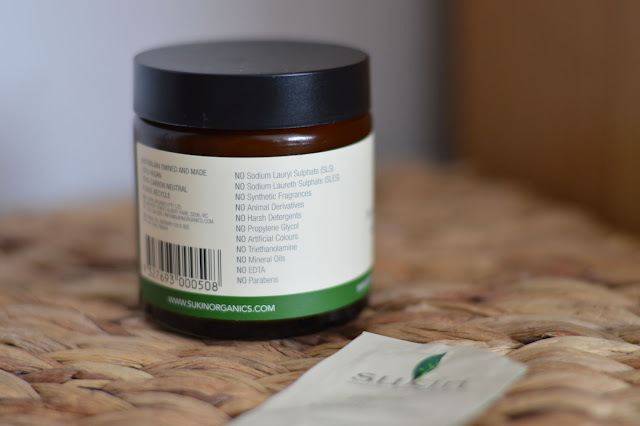 Sukin is an Australian skincare brand which I've been putting to the test lately and so far I'm happy to report it's a real gem. It reminds me very much of Antipodes, so if you're an Antipodes junkie I really recommend you have a look at Sukin. 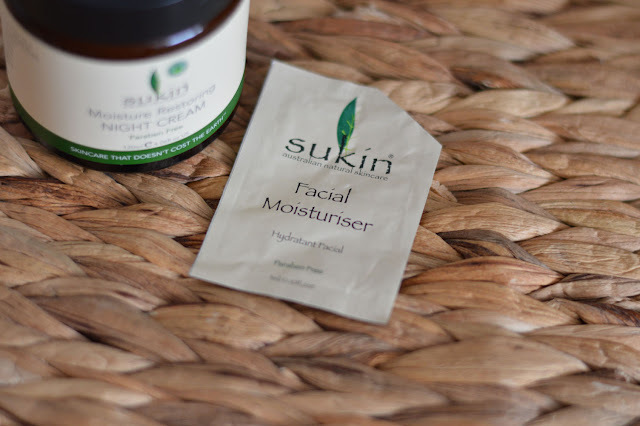 Sukin believes in good honest skincare, naturally sourced ingredients and no nasties included! The packaging is clean cut and simple which I love, it's what's inside that counts. The range consits of skincare for the face and body as well as a haircare range and a child's range. First off I tried the Facial Day Moisturiser (£8.12)*, a soft and silky light weight cream-gel formula. With a subtle natural scent which I found pleasant, natural goodness for the skin. 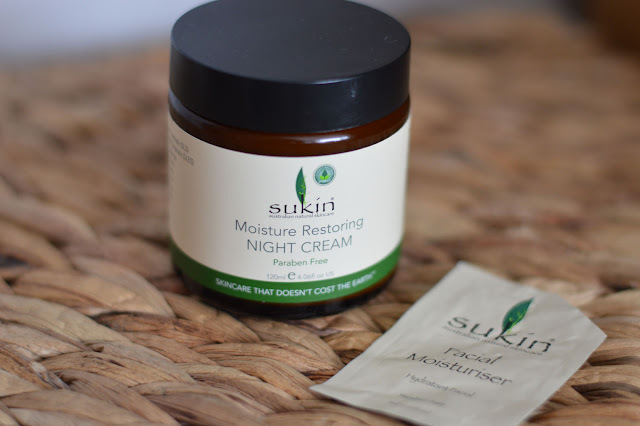 The main product I have been testing is the Moisture Restoring Night Cream (£16.28)*, I just want to grab your attention quickly on the size. The glass jar is a whooping 120ml, that's more than a years supply. The formulation is just right, not overly thick but rich enough to feel like the skin is getting a good dose of moisture. The cream is paraben free and free from other chemicals normally found in skincare. The scent is soft and pleasing, enriched with rose hip, evening primrose and borage oils to promote elasticity and protect the skins natural barrier.A great night time moisturiser which replaces any lost moisture from the day and prepare your skin for the day ahead. Aloe Vera helps soothe and replenish tired skin, ideal for parents or people who work long hours. The Moisture Restoring Night Cream is suitable for all skin types especially dry and sensitive skins. If you're looking for a good non-greasy rich night time moisturiser I highly recommend you give this one a try. I'm really keen to try more of the skincare range,they have a new serum called Sukin Rose Hip Oil which sounds brilliant and as you know I'm a huge fan of rose. Have you heard of Sukin?